D-Day is definitely a great show to watch especially if you’re looking for something fresh. It’s a very well done drama especially in cinematography aspect, characters development and intriguing conflict. I loved the chemistry among the casts and everyone did a fantastic job. The drama is also one of my fav dramas this year. I hope you guys know it by just looking at the amount of posts related to this disaster-medical drama on the blog. I also have 3 different headers of this drama that you can see on the header page. The drama also changed the way I look at firemen. I used to think that firemen were just like any other government workers except they worked in such dangerous places. But now, I respect them more. Just few days ago on my way to campus I saw 2 fire trucks. The sirens were loud and clearly they were rushing to get to their destination. I felt something I had never felt before. I got goosebumps and I prayed for their safety. I have never done it before! D-Day truly changed my perspective about firemen. People wanted Ha Suk Jin to be the lead instead of Kim Young Kwang. But I think Kim did an extremely excellent job as Lee Hae Sung. I don’t think I could enjoy D-Day as much as I did if Ha Suk Jin took the role. Everyone was perfect fit for their own role and every single one of them nailed it. That’s the very important thing that those people seemed to forget for a second. Ha Suk Jin did a fantastic job playing his role as Han Woo Jin. He made me dislike Han Woo Jin with his acting. But he still managed to make me have pity on him on later episodes. Jung So Min did a great job as Jung Ddol Mi. I really liked how she portrayed the characters and it’s like she was immersed in it. Her accent! Don’t forget about it. I may not be a Busan citizen but I know that she spoke in an accent. And she was consistent with it. Usually nearing the end of the drama, other actors kinda mess up with their accent or their accent is not as thick as it is in the beginning but Jung So Min was consistent from start to end. Cha In Pyo! I wanted to see more of him! His aura was strong throughout the show and couldn’t help but I kept on murmuring his name every time he appeared on screen. I know that’s silly but that’s how strong his presence was. His role here and his role in 2013 movie, The Flu, pretty much the same character. 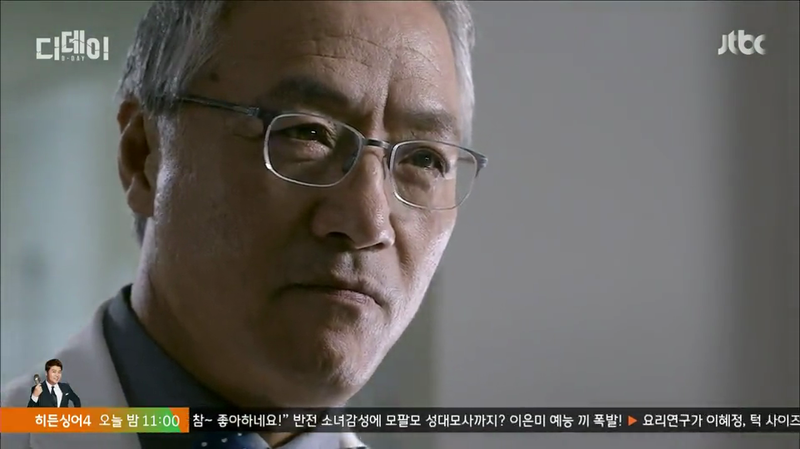 And I couldn’t help but saw him as Mr. President rather than Assemblyman Goo in first few episodes. But he was amazing in this one! Fireman Choi got to be my favorite character, largely because Kim Sang Ho was excellent. He showed a wide range of emotion and expression throughout the show and who can forget his acting on ep 18 when he found out that Lee Woo Sung (played by Song Ji Ho)was dead. 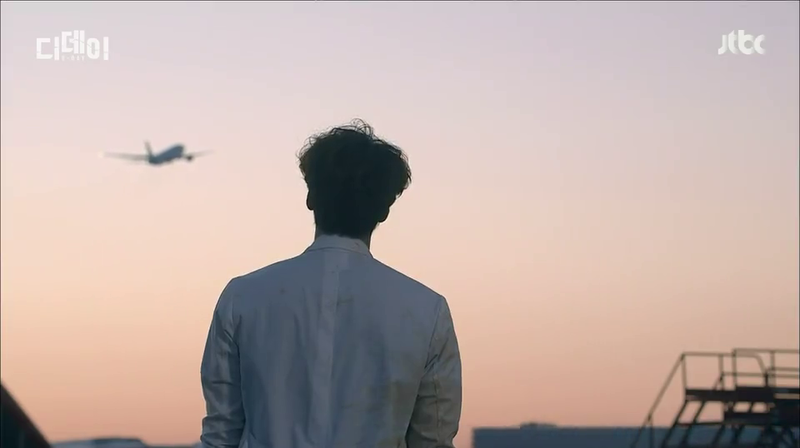 He and Kim Young Kwang were great in portraying how heartbreaking it is to love someone you love. Sooooooooooo great. The drama itself was 80% pre-produced so they had more than enough time to give us the best. The editing was great, the camerawork was great, every episode looked neat and polished. And also, this is a 16 billion won drama everyone!! That 16 billion won investment reflected in how detailed and real the sets were and how polish every scene was. But not going to lie, the CG on ep 2 or 3 when Hangang Mirae Hospital crash down was a turn off. It looked cheap and unprofessional. Being the first drama in South Korea to bring disaster genre to the small screen was definitely a great burden on the production team’s shoulder. The first two episodes were -hands down- intense. The first quarter of the drama was fast-paced until the writer decided to slow things down. The casts were introduced in the most humane way. The story developed pretty fast. I didn’t expect something “big” to happen on the first episode because however it’s only the start. I got really shocked when a big metal ball swung in between Hae Sung and Ji Na (played by Yoon Joo Hee) when both were eating and drinking. The first 30 minutes of the next ep (ep 2) was spent on rescuring the injured citizens. What’s great about it was, it was 30 minutes long but felt like 10 minutes only. And finally the awaited earthquake happened on ep 2 which is really fast. I thought the earthquake would occur on ep 5 or 6 judging from the length of the show which is 20 episodes. But it happened on ep 2. So fast! I know that waiting for a disaster to happen it really weird but I was ready to wait a few more episodes for it to happen. I just couldn’t believe they made so fast. It’s really thrilling. There are several things I want to point out, things I really liked beside the cinematography, of course. First, the romance was just in right amount and wasn’t exaggerated. It came to Ddol Mi and Hae Sung in perfect time and wasn’t rushed unlike that Wed-Thus SBS drama. So when the leads finally realized their feelings towards each other it made my heart flutter too. On early episodes, the show had many quick flashbacks to Hae Sung’s past which piqued my curiosity. We had no knowledge of his past and seeing those quick flashbacks seriously made me really curious. Like, what happened to his mother, what’s with him and his brother, what’s with Prof Han. Next, third, The drama didn’t portray Hae Sung as a flawless, genius, hero-like surgeon. He failed to save one life. He became miserable because of it and even though it was kind of a stretch but it showed that Hae Sung was no hero. He was just like any other doctors who could fail any time. Now, things that I don’t really like that I would like to defend this too. Many of you became Director Park Gun (played by Lee Kyung young) haters. I, did, too. But later I realized that if Director Park wasn’t as frustrating as he was in the drama then, D-Day would fall flat. Director Park, Assemblyman Goo, and Fireman Choi played a huge role in keeping the drama afloat and interesting. I, just like you all, also wanted him to get the heaviest punishment for everything he did to Hae Sung and other patients. But if he died then he wouldn’t be able to fix his relationship with Ji Na and his ex-wife. I haven’t listened to the VA albums but judging from how nicely the BGM was played throughout the show I give them 8 out of 10. I like 그날까지 (The Day) sang by Jung Dong Ha though. And other 2 songs, nah, those two just don’t suit my preference. Being the first disaster drama in South Korea is definitely not an easy job. D-Day tried its best and came up with an enjoyable show. For a 20-ep drama, the earthquake happened too fast than I predicted. The story kinda went downhill midway but still bearable and kept me interested. 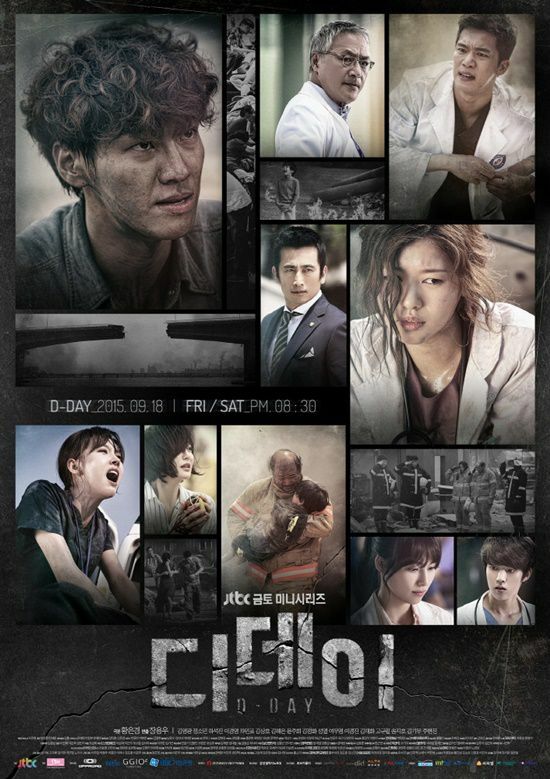 Overall, D-Day is an enjoyable and recommended drama.